Artwork: Audiotalaia / Mario Sarramián. We are proud to receive the most recent work by Madrid Duo Hashigakari formed by David Area and Tomás Gris. Both of them have spent the last year working together on sound from an improvisational perspective. After a few releases in its own label Ex-Nihilio they where approached by the Audiotalaia team to develop an album for our digital catalogue. Eleven Koans presents itself as a series of small improvised pieces inspired by several lines of thought from Buddhist inspiration. Beyond the philosophical implication or concepts beyond what Area and Gris are doing; we are in front of eleven small gems beautifully crafted that deserve the best listening experience to grasp all its nuances. Each of the Eleven Koans that conform this album can be understood as independent sound parcels, small stories that evolve through a sonic dialogue, intuition, contrast and opposition. Sudden shifts and steady chunks of minimalistic frequency lines are the elements that shape this exercise of intimacy, and communion between to talented musicians. Eleven Koans also presents itself as humble music, homemade, in small rooms, close by, in pure intimacy. Each Koan distillates this feeling of being at home, working on small things without the need of expanding its presence and not denying its facture. Eleven Koans, from my perspective, takes advantage and uses the coziness of a recording done at a living room and enhances it through its excellence. We don’t here the room tone, we aren’t certain about the environment where those recordings took place, but we are certain, if we carefully listen, silent footsteps can be heard, and from time to time, as an spectre, the room acoustics colours itself revealing that private space shaped by sound, dialogue and (I insist) intimacy. This project, beyond its inherent sonic and compositional relevance it exemplifies perfectly a line of work that is being developed right now on Madrid’s underground music scene. Note that (and this is important) the scene is utterly eclectic and unattainable: Radically different is the music by Carlos Suero (our previous release) who's involvement in the local scene is similar even that there is a conceptual and aesthetic distance between them. Area and Gris are also playing an important role on the current underground experimental music scene embracing minimalistic and reductionist aesthetics from a self-taught perspective and beyond the potentially uptight academic approach on that subject. Tomás Gris: soprano sax and objects. 11 oportunidades de satori acústico a las que merece la pena someterse. Espacio donde desaparecer uno mismo y dejar que se manifieste. Se agradece mucho, tan rodeados estamos de autoritarismo sonoro... y de paso añado... ofrece opciones que un Feldman no. Por lo menos a mí. Bueno. Son sólo palabras... poco podemos decir. 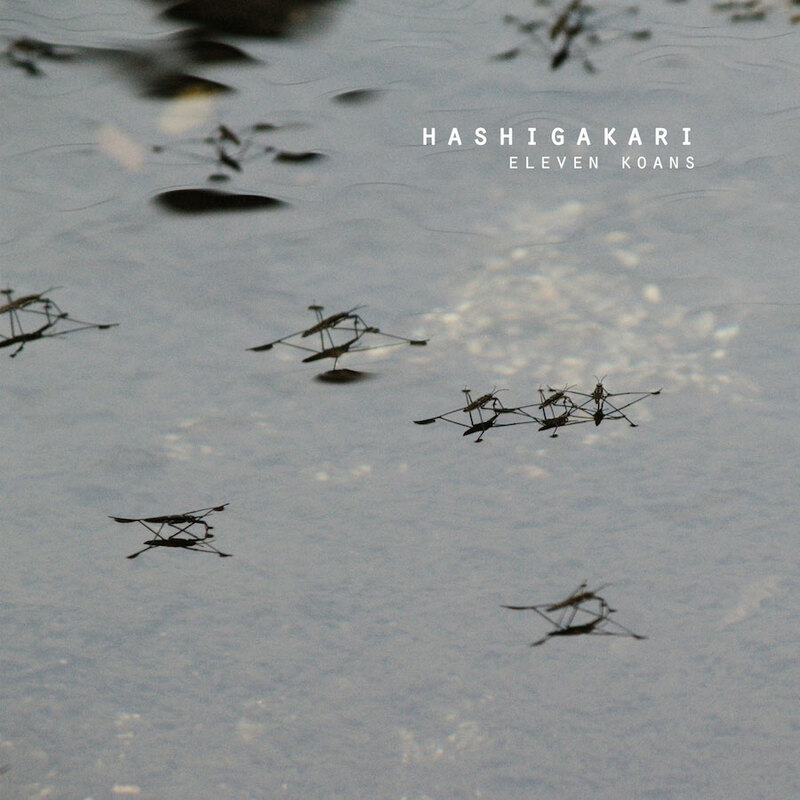 Eleven Koans by Hashigakari (David Area & Tomás Gris) is licensed under a Creative Commons Reconocimiento-NoComercial-CompartirIgual 4.0 Internacional License. Creado a partir de la obra en http://www.audiotalaia.net/catalogue/at081-hashigakari/.